Celebrities from Kim Kardashian to LeBron James are hailing keto – an extreme high fat, low carb diet plan – as the silver bullet for weight loss. But what is the keto diet, exactly? And does it really work? The keto diet may be the latest dieting trends but it actually dates back to the 1920s, when it was introduced as a treatment for epilepsy in children. Of the three macronutrients – carbohydrates, proteins and fats – the keto diet involves eating mostly fats and protein and cutting out most carbs. In theory, after a few days of this the body enters a state of ketosis, when it begins burning fat stores for energy instead of accessible glucose, which comes from carbohydrates. In this state, the body produces chemicals known as ketones, which help power brain function and are thought to reduce seizures in children. Modern medication has made the keto diet mostly obsolete as an epilepsy treatment, but people are still looking to ketosis to shed excess pounds. To start up your body’s ketosis state, roughly 70-75 percent of your calories should come from fats and 20-25 percent from protein, leaving only 5-10 percent from carbohydrates, virtually all of which will come from fruits and vegetables. This means cutting high-carb foods like potatoes, rice and grains and processed sugar. Maybe you can get away with a flatbread wrap here and there (as long as total carbs stay below 50 grams), but this diet doesn’t allow for big treats or cheat days or else your body may leave the state of ketosis. What it does call for is meat, fish, eggs, fruits and vegetables, cheese, mushrooms and leafy greens. Here is a 14-day diet plan for beginners. It can take days – sometimes a full week – to finally enter ketosis. During this period you can expect serious cravings for starches and sweets and may feel tired, light-headed or nauseous. The hardest part is resisting the temper tantrums of your own body until it gets used to burning fat rather than glucose for the energy it needs. It can also be tricky to plan your meals at first. You will find yourself poring over nutrition labels and measuring things out in painstaking detail. If you want to go keto, it helps to invest in a kitchen scale and familiarise yourself with online nutrition resources. But eventually, you will get a decent feel for the right foods and their nutrient profiles, and planning your meals, whether at home or eating out, will get easier. Many studies and personal testimonials suggest that the keto diet works, by and large. 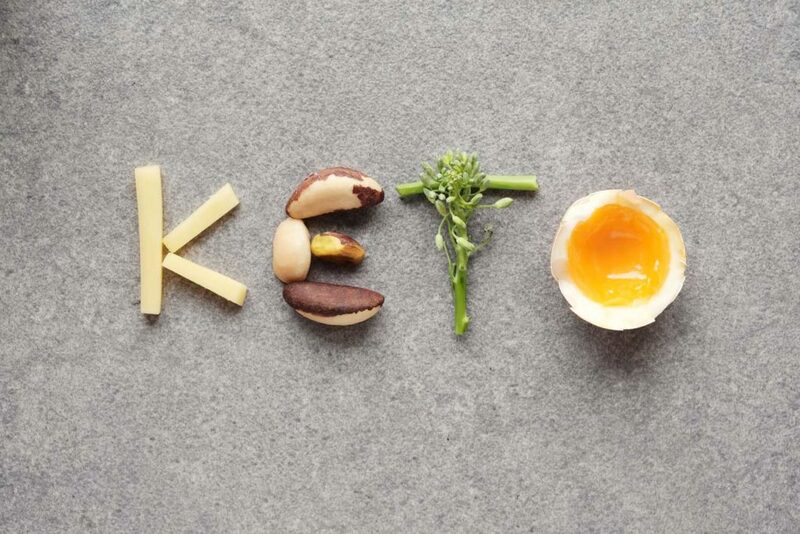 But the scientific jury is still out on whether keto itself is more effective than other restrictive diets, or if the diet simply inspires people to eat less and better food, just like the Zone diet, Atkins, paleo or other popular weight loss programs. The only way to find out if it works for you is to try for yourself – and stick with it. Remember: because keto isn’t about cutting calories as much as maintaining a special metabolic state, this diet doesn’t allow for much cheating. Keto is a full commitment. As such, it may not be safe for everyone. As you power through the carbohydrate withdrawal, make sure that you’re not outright starving yourself and pay close attention to what your body is doing. A little nausea, fatigue, dizziness or other side effects may occur at first, but if these become severe or persist for more than a week or so, keto may not be for you.